OLD PARKED CARS. 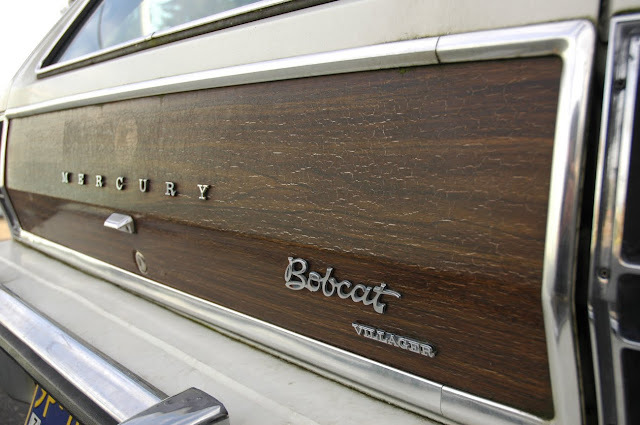 : 1976 Mercury Bobcat Villager. A big thanks to Domingo for showing me around his car! It was awesome finding out that I actually documented his unforgettable parts car in 2010. Can you believe Wikipedia only acknowledges the Bobcat with one sentence on its Ford Pinto page? Tragic. 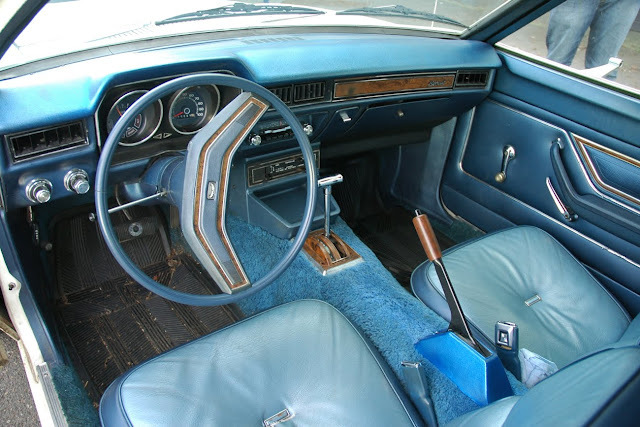 I can't believe how good this car looks with the color combination of white, wood, and a blue interior. Are the chin spoiler and wheels factory? They give it a really cool, sporty vibe. The woodgrain and the wheels off a Fairmont or Zephyr make this wagon look absolutely sweet. Yep, pretty sure Domingo said the wheels were from a Zephyr. This is to the volvo P1800 what face man from A-Team is to Steve McQueen. not much to add here, except that i heartily approve this post. The wheel covers were a common Fairmont/Zephyr piece throughout that car's run. 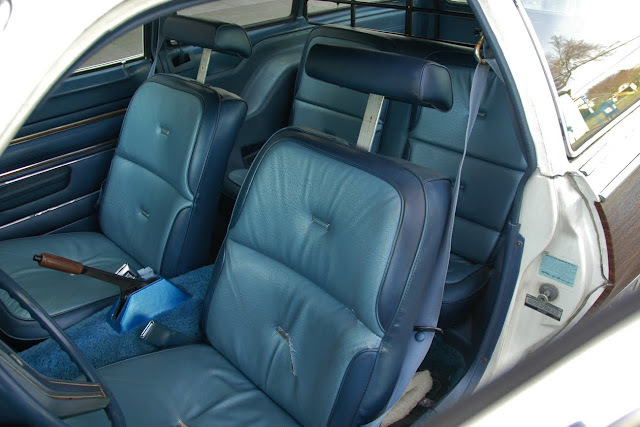 My parents once had a beige '82 Fairmont Futura sedan with those covers - possibly the only good part of the car, unfortunately. This is easily the best-preserved Bobcat I've ever seen - well done, Domingo! The chin spolier is likely from a 1977-78 Ford Pinto Cruising Wagon (I used to have one). I can imagine that spoiler must have been hard to get... either someone was lucky enough to pull one from a scrapped Pinto Cruising Wagon back in the day, or it was done more recently, perhaps someone was parting out a Cruising Wagon on eBay. Not sure I like the spoiler with the woodgrain. 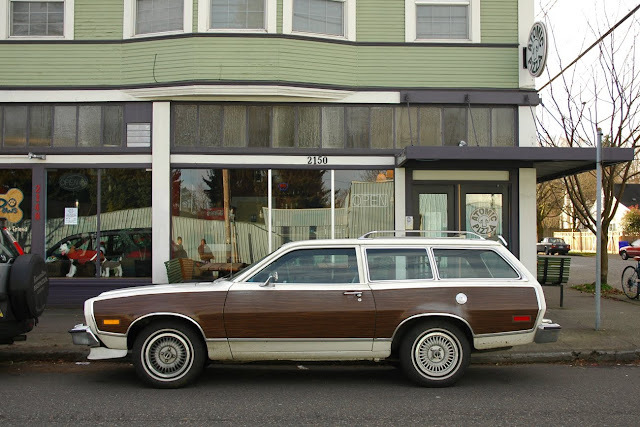 The woodgrain says "mainstream traditional" while the spoiler is more like "young and sporty." I'm not too crazy about the wheels either. With a woody wagon, I'd prefer to see the more sedate stock metal hubcaps with whitewall tires, or maybe the 13" chrome slotted wheels that were factory options. 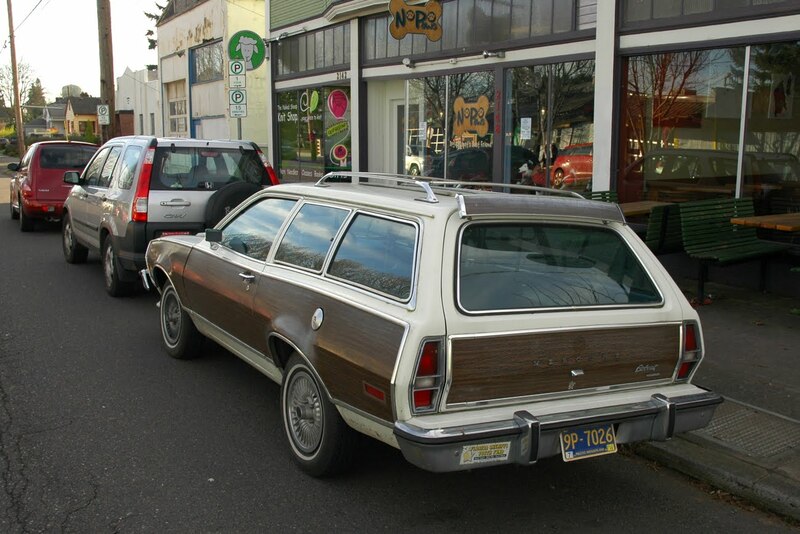 Somehow, I think a woody wagon like this could almost get away with 13" or 14" Cragar SS wheels. But not those wheels on it now, or the spoiler. I'd drive this car though! Back in the 80s or 90s you'd be laughed at for being seen in one. But now they're retro cool. I've always liked them, even back in the 70s when I was just a little kid. Immaculate. Mercury. Bobcat. Woodgrain. Wagon. Comfy Seats. The want is strong with this one. 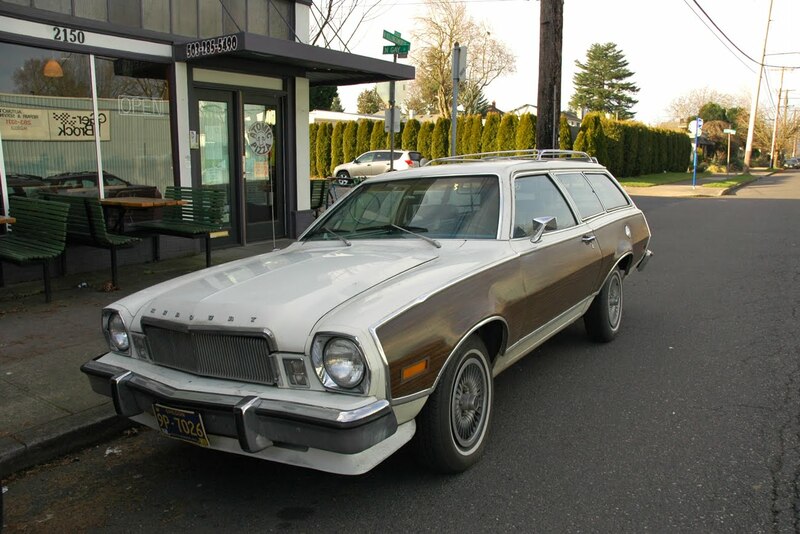 I owned a1975 green with tan interior.150,000+ 1975-1989. Loved it. The decker put mag type wheels on it.